Do you have a 58mm chainring 22 tooth 4 hole by any chance? We only have 1 58mm 5 arm chainring, we have nothing in 4 arm sorry ! 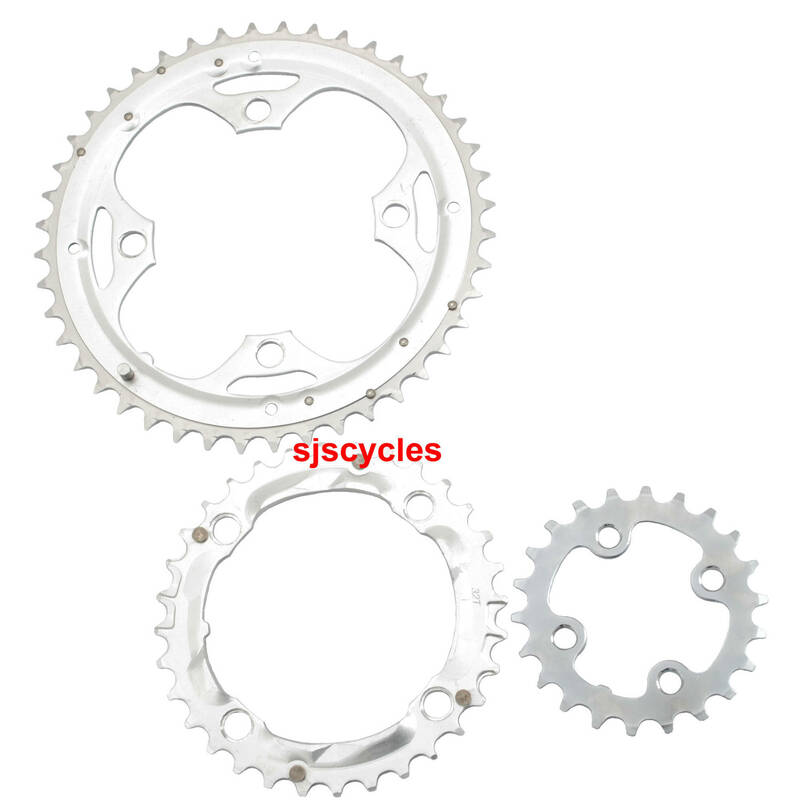 SJS Cycles part number : 11692 is this a 3 part set at £9.99 and is the inner a 22t 4 hole 58bcd? Yes this is a set of three as pictured. The inner ring is 58bcd. Only the inner ring is steel, the outer and middle are alloy. Given the price of the item I would expect that a set of Shimano rings would be more durable but we have never done any comparative testing to know for sure. I need to replace only the 22T 58 BCD ring, is it available or I must order the 3 pieces set ? Unfortunately the only individual chainrings we have in a 58 BCD size are 5 bolt options rather than the 4 bolt option you require. Therefore to get the ring you need you will have to purchase all 3 as a set I'm afraid. The 58 is the BCD for the smallest ring the inner ring. It uses a smaller BCD than the outer two on all triple chainsets.